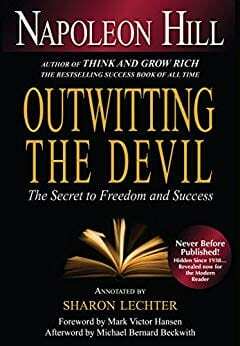 In Napoleon Hill’s book, Outwitting the Devil, he talks about how a devil distracts us as entrepreneurs and people. In the note business, we can see this in how there are days where we get frustrated with the lack of activity and success with our deals. What ends up happening is that the market becomes too noisy with our own worries and what’s going on around that it distracts us from our goals and from following the right direction. Scott guides us how to cut out the noise as he talks about social media and the everyday distractions we face. He talks about the noise we find in our note business and how you can value your time and find your focus. Our topic is a little bit different. I know a lot of people are excited about the New Year. There are some that are new to the note business. There are some that had been around for a while doing a variety of things. I discussed this with a couple of investors. I also discussed this topic with some people when I was down in the Bahamas at the Mr. Landlord event. It’s important to keep this in mind if you’re trying to have any type of success in whatever you’re focused on. One of my favorite books is Outwitting the Devil by Napoleon Hill and sharing it after being hidden in a cabinet for 70-plus years. It talks about how the devil distracts us as entrepreneurs and people. That’s what makes him successful, but it’s also what keeps us from finding success because we’re constantly drifting. We’re getting distracted. We’re not focused on things. Everybody struggles with this. Everybody including me, we all drift. What you have to realize is the best way for you to find some clarity, some focus, direction, a compass in your note business is to figure out what are you focused on. That’s across the board. It could be a variety of things that you’re trying to focus on, but you’re going to get frustrated. You’re going to get discouraged because you’re not going to see a lot of activity or not a lot of success as you move forward in the right direction. You’re going to be doing a lot of sidesteps or moving from one direction for a little bit and then moving back to a different direction. I call it the noise because there’s a lot of noise out in the market that can confuse us and that can distract us. The best thing you can do is to go away with that noise with a couple of reasons. First of all, what we’re going to talk about is the noise that we see out there. We’ll talk a little about this. I see so much noise on Facebook. I was on this before and I see so much noise. I see the same people looking at different things. I don’t mean this in a derogatory fashion. I’ll give an example. I saw my buddy, Adam Triple A Adams, doing a live stream on his podcast interview, which is great. It’s good stuff. Welcome to the 21st century, Adam in 2019 to live stream. He does a great job with what Adam does. The thing you have to keep in mind though is that I’m seeing people that are on his event. I’m seeing people that were on a Quest IRA event. I see the same people on my thing. They are also in Propelio and they’re also over on other things. You can’t find success by Facebook surfing everybody’s live stream. I’m sorry. 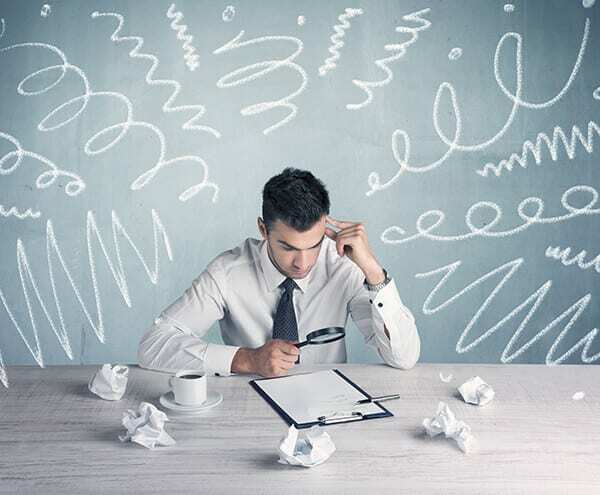 If it was all notes, I would say one thing, but when it’s commercial or your IRA or it’s fix and flip or turnkeys and then investing or software, you’re not going to find that type of success that you want to find. The only way to capitalize on what’s going on in the market right now and to help you get to where you want to be later on is to cut out the noise and start focusing on one thing. I’ve had to do that. I was listening to Gary Vaynerchuk. I would listen to his #AskGaryVee podcast or YouTube series every morning. I’d come in, “I got to be in the office for sure and ready to roll by 10:00 to 11:00 so I could watch Gary Vee.” I would start realizing, “I’m hearing a lot of the same things over and over again. There’s nothing original. I’m wasting an hour of my time, out of my day, by just listening to him.” It had no bearing on where I wanted to be because I found myself doing the things that I need to get done, but it was the same stuff that he was sharing on a regular basis. It was very broad. It was big strokes, not thin. This isn’t working for me. This isn’t as effective as I thought it would be. A lot of us get excited about Gary Vaynerchuk. Who doesn’t want to hang out with Gary Vee? The thing we have to keep in mind is it’s good to get some motivation, it’s good to recharge the batteries. It’s going to be gung-ho, but you have to realize how is Gary Vee affecting your bottom line? Is he helping you? Is he giving you nuggets that you’re implementing in your business or is he taking roughly about 5% of your day away? Is he taking an hour out of your time? Is he helping you be focused on things? That’s something you’ll look at. Where is your attention? How much are you spending your time on other things? If you talk about watching TV at night or going to a movie, that’s great if that’s a way to recharge. We went and saw the movie, Glass. We went and saw the 9:30 time. I could have gotten an earlier one, but I ended up heading down to Quest Trust communication Trillion Dollar Mixer, which Mitch Stephen is speaking and networking with other investors down the neck of the woods. It was a good two-hour thing. I got there about 8:30 at home and went to the movie by midnight. It was great spending with stuff. What you have to realize though is, are we doing a lot of that stuff? There’s nothing wrong with going out and networking. You have to get to the point though, are you closing business? Are you doing the basic things that you need to do? Otherwise, we can network ourselves to death and not have anything on the bottom line. That’s the first thing. Try to eliminate the distractions. Sometimes you have just a turn off things for a while. Maybe turn off your social media or turning off your phone so you can be focused. Turning off your email for two hours while you’re making phone calls. Turn off the distractions and eliminate the distractions. That’s part of the reason why I have an office. I work much more effective here in the office in eight hours than I do at home. I was working for sixteen hours. There will be distractions and all other things. I see a lot of entrepreneurs that struggle with the distractions. They want to sit down and watch Oprah. They want to sit down and watch The View or whatever it might be. There’s nothing wrong with taking that in a little bit, but you have to learn to remove the distractions. Remove the noise. Let’s talk about the noise in your note business as well for you. You see all sorts of different things popping up out there. Everybody’s marketing for their workshop or everybody’s trying to be an educator. This is the thing that boggles my mind. I can’t buy any notes, but I’m going to be an educator. I chuckled that way because that’s the sign that the market is oversaturated for a little bit. I won’t say oversaturated investors because there are still plenty of deals out there. I got a text message from Logan one of my mastermind students who just missed out on buying or finding a 60-asset portfolio of Texas property from a Dallas bank. I see Joe Tomko making offers on 60 plus assets on a million plus dollars. I’ve got a couple of conference calls with some big sellers of some stuff that may revolutionize some things that we’re focused on. We’re talking one of the bigger players in the industry looking to sell some assets off of the top five or ten banks. It’s a big enough institution that they’re looking to move some stuff. We’re pretty excited about that. The thing you have to keep in mind is that there are a lot of distractions out there like, “I want to go to Noteworthy Investments. I want to go to Distressed Mortgage Expo. I want to go to the workshop that Eric Hyde is hosting in South Bay.” There’s nothing wrong with going to any of those. Any of those events are going to be fine and fantastic. Coming to the virtual workshop is great. We host Valentine’s weekend and it’s awesome. There’s nothing wrong but what you have to do is reel back in, “Do I need to go to all three of them? Do I need to go to one of them? Do I need to go to none of them? What’s the focus? Who’s speaking there? Are the speakers going to add value or add some nuggets? Are they going to show me how to raise capital? Are they going to show me how to find more deals? Is it just going to be running around and shaking hands and having a drink or glorified social hour?” That’s the thing I always worked at. I’ve been asked to speak at quite a few events, and I’ve turned a lot down because they were not the focus of where we wanted to go. It had been great to go out to San Diego and hang out with the Noteworthy Investors Summit. When Aaron Halderman emailed me and asked me to be a speaker there, I was like, “Thank you very much, but I’m going to respectfully decline.” Kevin Shortle reached out to me and I said, “Thank you but I’m going to respectfully decline.” Mahir Allan, a distressed mortgage expert reached out to me and said, “We’d love to have you come speak.” I’m like, “Thank you very much but I’m going to respectfully decline.” Why am I declining speaking events? There are two reasons. One, I have to maximize my time. That’s the first thing. I value my time. I put mine at $1,000 an hour. That’s how I value my time. That’s one of the most important things that you all can do. Value your time figuring out what you’re worth an hour. Figure out what is worth for you. I fly out to an event to speak for an hour to people that most everybody already knows me there. This is not bashing either one of those events. I was very honored to be invited to speak at those. It’s just that people aren’t showing up. It’s not a good lead generating place for me, for investors, for deals, for students. It’s not a good lead generating event for me. If you’re brand new here in the area, if it’s in your backyard, go to it but if it’s going to take time away. Go to one day out. You knock everything you needed on one day. The thing you want to look at is to make sure though you want to maximize your time at those events. Look at the speakers who are speaking. If they’re speaking or you want to hear speak Jillian Sidoti raising capital, you want to make sure that you carve out that time and maximize that event. Maximize that hour as she’s speaking you’re in there learning nuggets or if it’s Aaron Young or anybody. Make sure you’re learning and then you’re out doing what you need to do. Make a run by all the vendors. Grab business cards, grab contacts, meet as many people as you can. Don’t eat alone. Show up early, stay late. Those are some of the things that you want to maximize your time. For me, it’s not worth flying out there spending three or four days out of an event and come back and not have any leads that aren’t already in our database. We market better than anybody else does in the note industry. We’ve been very honored to have some of the peers who reach out to us and help with the market. We said yes to something and no to others. The thing you have to keep in mind is what’s going to be a true win-win for you? Is the event going to be a win for you and for the event that’s hosting for you to show up or is it just a win for them for you to show up, but not a lot of good content? You have to evaluate that for yourself. That’s why I look at my calendar. We’re going to a couple of things after our workshop on February 15th, 16th and 17th is the next Virtual Note Buying Workshop. We then head out to Tampa and it’s worth me spending the night in Tampa. I’m hosting a meetup group with the Tampa Note Closers group on that Wednesday night, the 20th in Tampa Bay. I’m going to be at the NEW MEDIA SUMMIT, which is a podcasting summit for me. I’m one of the icons there. It’s worth me being there to get booked on things. If I get booked on three other podcasts in the real estate industry, I’m able to be on their shows for 35 to 40 minutes and it goes out to all of their guests and all of their listeners. For 1,500 people that I could get the word out on what I’m doing, that’s worth it to me. That’s a valuable add to go out there, spend some time, market my business and get on somebody else’s podcast and market there and make it a true win-win across the board. That’s where our focus is going to be in 2019. We’re still going to have the virtual workshops. We’re still going to have our Note Camps. We’re still going to have our Mastermind and our Fast Track training, but our focus is taken away from going out and speaking at expos to being focused on what we need to do. We’ll go out and find people that don’t know who we are to go face that final frontier. That’s some of the ways that we’re doing. We’re eliminating just about everything. I’m speaking at the Quest Expo. I’m speaking to a couple of podcasting events, Laughlin Associates with Aaron Young for the most part, but that’s about it. I’m not speaking at a lot of notes specific expos. I’ll speak at a few meetup groups across the country for twelve to fourteen of those this year. We found that the bigger bang for the buck is the leverage or online relationships or online savviness and focus on that and eliminate a lot of the noise. That’s how we have done. You as note investors, you as people out there in the industry, it’s the same thing. Maybe you pick two or three things to listen to. If you like Gary Vaynerchuk and you need that motivation, that’s great and awesome. Maybe listen to the podcast, maybe listen over to Note Inc. Czarina Harris for her show. Whatever it may be, listen to it. Make sure that the time that you’re listening is a valuable time. Maybe you’re driving, maybe you’re flying, if you’re going across the country, that’s the time to listen to it. I would not be listening through the day for the most part. I decided that I’m going to be moving most of our episodes to the later afternoons a little bit to help us accommodate some things that we’re focused on here. Let’s talk about the second fact. Know who you’re listening to and know who you’re attending to. That was number two. That first one is figuring out everything that you want to focus on. Focus on one avenue. It’s not always focused on notes. It’s hard money or private money focused on that. I told someone to focus on that one thing. Second thing is to clear out the noise that you’re listening to and the third thing comes in your note businesses. It’s for those that are specifically focused on the note business. There are different tapes floating around right now. There are four or five or maybe six different tapes floating around from different people. Some of it is good, some are just crap. When you get a tape, especially when it got 100 or 200 or you’ve got 400 different ads to look at, the most important thing that you can do is to eliminate the crap. If you’re focused on five states or five markets, eliminate the rest of the state as I do. What I love to do is I get a tape in and I eliminate stuff right off the bat. I’ll give you an idea. I don’t buy in New York and New Jersey, so I eliminate those. I eliminate Chicago and Cook County. I eliminate Kentucky because they require a $1 million bond there. You also may want to look at getting rid of stuff that’s a low value or low balance like if the UPB is $5,000 or under $20,000. Look at the payoff and how many months behind times P&L payment of their total payoff was. Their payoff is under $25,000. I remove it. If the value of the house falls below $25,000, I immediately eliminate that for the most part. It doesn’t work that way. I’m running online valuations. When you get a tape and you’re looking at a lot of assets and you buy in a lot of the states like we do, you’re going to rely on Zillow. You’re going to rely on Note Pros to help you do some due diligence. The thing to keep in mind is to eliminate what you don’t want. Just delete it off the spreadsheet. You can always go back in your email and download that spreadsheet again. That’s simple to do. The thing you want to do though is to eliminate all this stuff. I was talking with somebody and we were doing a Zoom call. She kept trying to go back and find out what your assets should look like. I’m like, “You’ve got way too much. I want you to delete the ones you’re not looking at.” They get clean. They get five lines. If you only get five assets, let’s look at those five assets. Let’s go through and look at this column whether it’s performing or nonperforming. If you’re looking for just performing and you get to a tape of performing and nonperforming and you want to use your own funds and make it 12% to 15% of yield, there’s nothing wrong with that. That’s a great rate of return on performing notes. What I would do is eliminate the nonperforming. One of the things I look at is to see if it’s occupied or vacant. I’ll eliminate the vacant assets. The more that you can eliminate the assets, it’s cutting out the noise and the distraction. That’d be cut things down. You’re doing your due diligence and you realize there are not so many assets. “I’m only looking at two.” Maybe you need to expand your horizons or spread it out a little bit. Maybe your focus is way too tight. Take it out a little bit. Change up the market. See what’s available. That’s the easiest ways to help you. I have seen this happen a to a lot of realtors and a lot of investors that come over the note space. There’s a lot of noise that kicks in when you’re looking at too many assets. There’s a lot of noise that kicks in when you’re confused or overwhelmed. Let’s underwhelm you and just focus on a few assets. Let’s work through those. Let’s make a few offers, especially if they’ve given you pricing points. Let’s work for one or two and go from there. If you’re trying to overdo it and make ten to a hundred offers and you’re trying to eat the whole elephant in one bite, then that’s where you’re going to get the most confused. It’s where you’re going to struggle with the most. You’re also going to get frustrated because you may not be as organized as you need to be initially. If you’re brand new, let’s focus on getting one, two, three deals closed. It means making somewhere around five to ten offers. If you’re only going to see about a 10% acceptance ratio, that’s fine. Don’t worry like, “I overbid the first time.” Go back and fade your bid down. 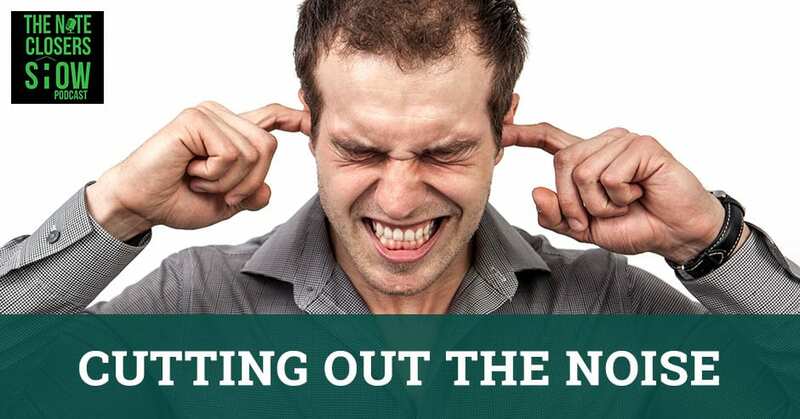 Cutting Out The Noise: There’s a lot of noise that kicks in when you’re confused or overwhelmed. If their values show 70 and you’d find to be 35, that’s okay. Fade it down a little bit. I’m going to hurt you to do that, but that’s what I want you to focus on. It’s a valuable aspect to think about eliminating the noise in your business. You’ll be a lot more focused. You’d be a lot happier. If you can find your focus and tune it down to a tighter business or tighter actions, you’ll be happier. You’ll also find yourself getting more stuff done because you’re now not wasting 80% of your energy on things that aren’t income producing. You focused 80% of your time on income producing and only 20% on non-income producing. That ratio is four to one if you can focus. Now you’re making a lot more money. A lot more focus will take place when you have that focus to eliminate the non-opportunity items in your day. Whether it’s you’re running all over the place and listen to everybody. You need to narrow that focus down. Focus your schedule, your time, your commitments, and where you’re going, especially if you’re working full time. You’ve got your time off. You have to focus on where you want to be and look at the counter. Look what’s going on. Maybe your tenants just step into your backyard. Maybe you’re like, “I don’t have time the next quarter, but I’ve got some time off starting in April.” Maybe you’re looking at going to the Paper Source convention. We started doing our own events online because we saw our attendance skyrocket because of the fact that people didn’t have to take time off from work for the most part. They could stay home. They can work their job on Friday. They’ll only miss a couple hours to be able to jump in and catch the replays. That’s what you have to realize. Get your schedule, look at what you’re doing, look at your day-to-day activities and then focus on what you need to get done. A great tool will help you out with some things that will time map out your day. What did you focus on? You need every 30-minute increment or if you need to every fifteen throughout your day. When I was a banker, they taught us to do, “What did you do this 30 minutes? Did you make phone calls?” Let’s look at your day because I guarantee a lot of us is a big gaping Swiss cheese holes in our day that we could build with a lot more productive items. If you need to pull out the noise canceling headphones to get stuff done, do so. If you need to turn things off, you need to turn off your Facebook and not watch me live. If you’re going to be going out and making things happen, that’s great. You need to turn off your cell phone for a while while you’re working through things. That’s fine. If you do this, you’d be a lot happier and also a lot more focused and a lot more productive. That’s the thing that we all want. We want to make more money. We want to not spend time on stuff that’s not producing and close more deals and ultimately make more money along the way. If you’re on iTunes, Stitcher and other podcast platforms, thank you. Make sure you go on over and hit subscribe and leave me a five-star review if you would not mind. I would appreciate that. 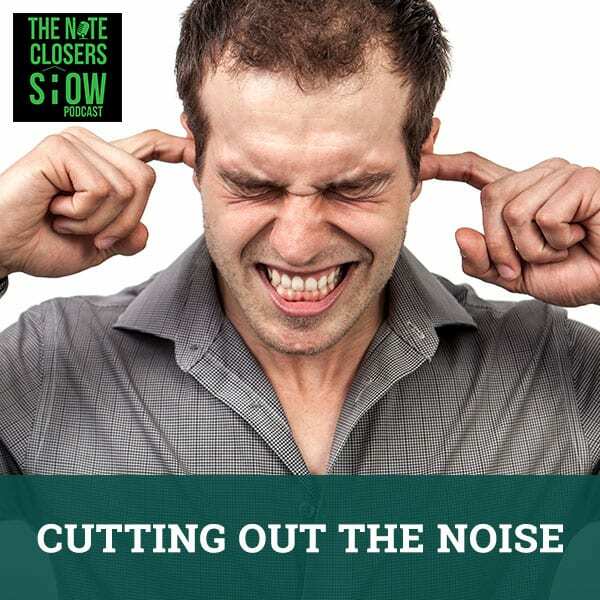 Find out more information on some of our upcoming training and things like that at our main website where you can always download every episode of the Note Closers Show and listen to that along with every episode of the Note Night in America at WeCloseNotes.com. I will tell you this, if you’ve heard the Russian proverb, “He who chases two rabbits, catches none.” Make sure you focus on the one rabbit and you chase it. Once you’ve caught that, then you go and chase another rabbit. Don’t get the habit of trying to chase too many at the same time because you won’t catch them, and you’ll end up just hungry and confused and battered at the very end. Go out and make something happen. We’ll see you all at the top.